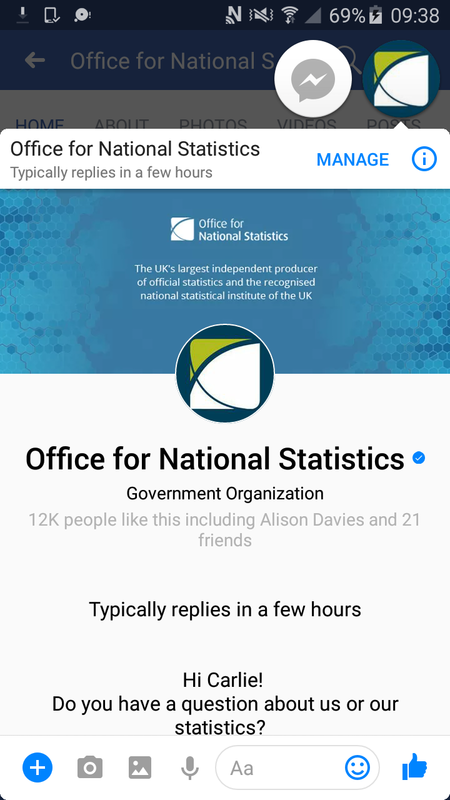 From today (13 November), our Facebook and Twitter accounts will be official customer contact channels where we encourage people to get in touch with us using the messaging options on these platforms. 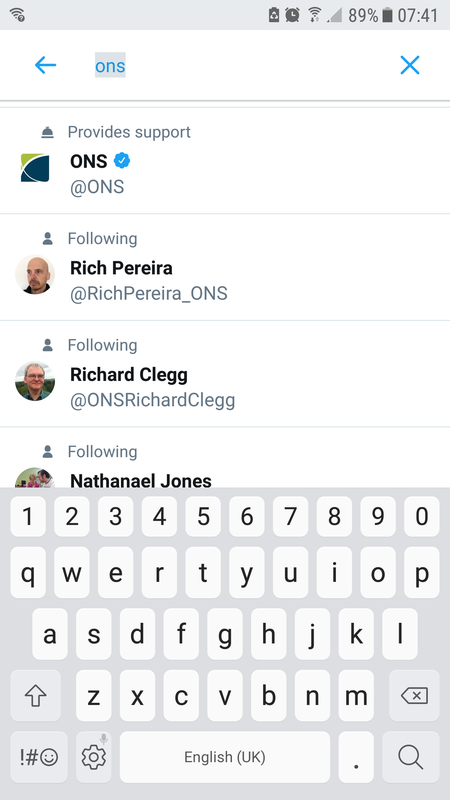 This is following a gradual increase over the past year of people asking us questions directly on social media and will help us to ensure we are responsive and quick to engage and help our users online. It’s been a rapid project. From identifying the user need, to full implementation within a six week period. The customer contact centre and social media team joined forces for a four week pilot to trial how we could collaborate and work as a virtual team. During the first two weeks of this pilot, we saw a significant improvement in handling times of enquiries- from an average handling time of 7 hours and 3 minutes, to 1 hour and 14 minutes on social media. The pick-up time of enquiries has also come down significantly due to the improved monitoring and assignment of enquiries between the teams. 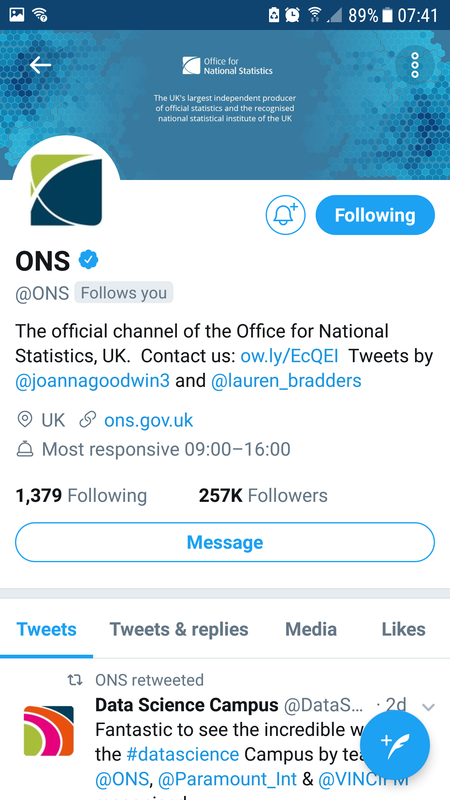 What this means in real terms is we are faster to respond to people on social media and have become much more efficient at dealing with online enquiries. We have also set up direct messages to help manage expectations. 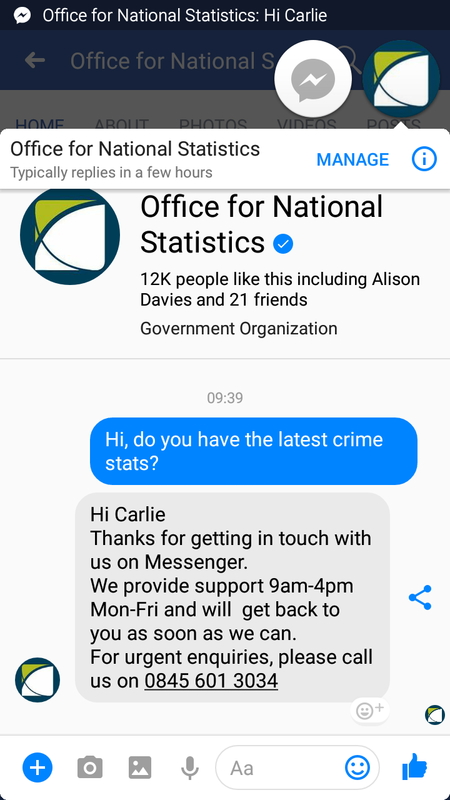 On Facebook messenger, you will receive a ‘welcome’ message as soon as you open a message with us, and receive an automated response once you have sent us a question (see some examples below). 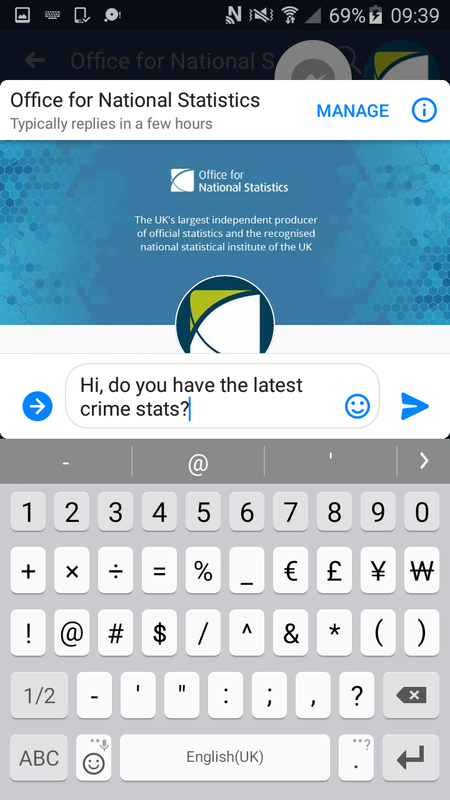 The reply you get will change if you message us out of office hours. 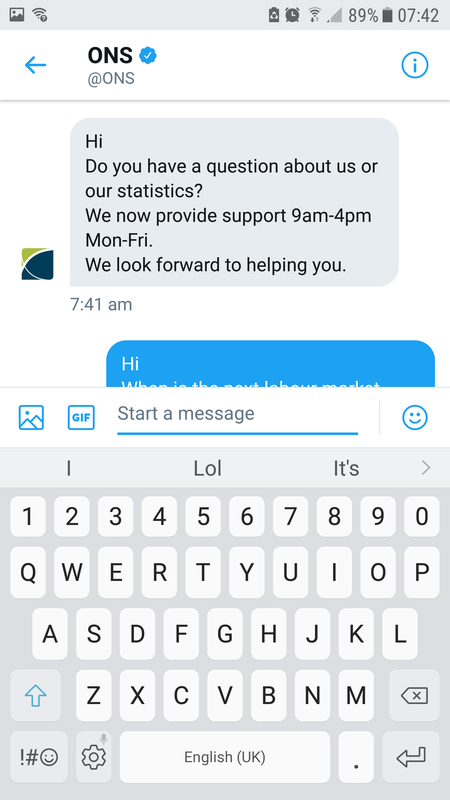 We have used the Twitter business tools to open our direct messages, show people we are a customer contact channel and to send automated messages to people sending us enquiries (see examples below). The success of this project is due to a shared vision across teams and a true collaborative effort.